Medical Center, Chillicothe,MO. 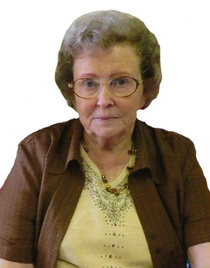 Janie was a longtime resident of Humphreys, MO. offices in Trenton. She was married to Emmett May April 18, 1945. He preceded her in death, Oct. 1990. Milaynie May, Justin May and James May. Janie is also survived by her nephew Bill O’Connor. She was preceded in death by her parents and two sisters, Florene O’Connor and Velda Jasper.